Do you think that carrying your wallets every time to pay for things on the go is a boring idea? If yes,then you might expect yourself to be treated by your wish now. Yes, you heard it right; Google has finally realized your needs and now is working on its digital wallet. If this comes out, you won’t even have to take out your smartphone to pay for the things. Everything will be done with so ease by just showing your face- don’t you feel like a star now??? Payments will be all hands free since your facial recognition will be used to carry out any transaction. As the product is still under the trial, there have been only fewer number of food outlets of Silicon Valley including- McDonald and Papa John’s. Restaurants would use the Bluetooth technology and Wi-Fi to detect whether the customer is having the digital wallet. 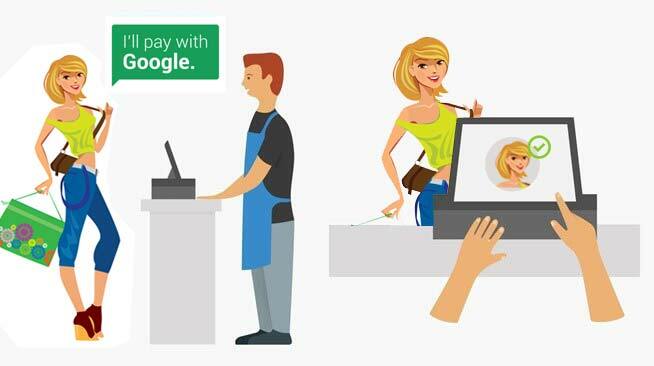 And when the customer will have to pay, they will simply tell the cashier that, “I will pay with Google”. Then the cashier, on the customer’s request will ask for his initials and will use the picture to add a hand free profile which appears on their terminal to get the confirmation of authentic identity. Besides, Google is also experimenting with the use of cameras in the store so that the customer could directly make the payment without having approved by the cashier. The system is currently under the trial and being tested by the certain group of users, but soon it will be accessible across the world.